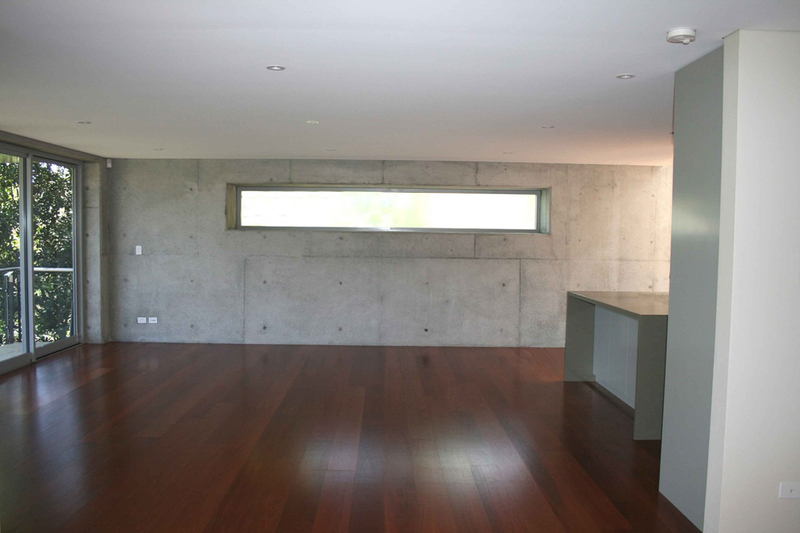 Rawness….Exposed concrete walls, faced concrete blocks & timber are the main construction elements. Located in a natural area, it takes into account the views to the river and the Royal National Park. 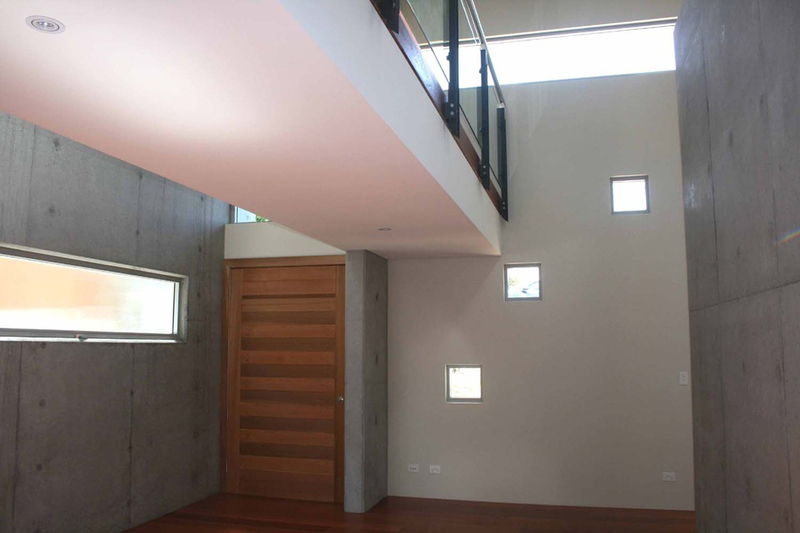 Internally the house represents the external materials as well by exposing most of the concrete walls and by utilizing timber flooring. 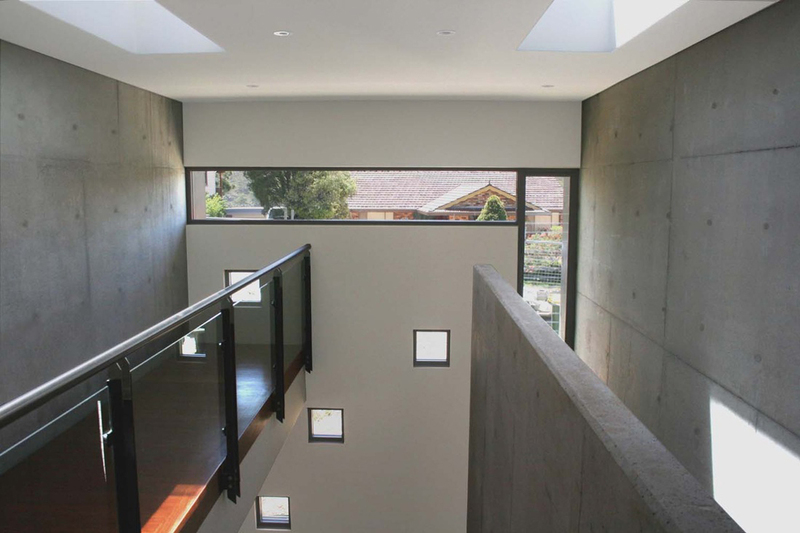 The design is minimal and is based on basic cubic shapes. 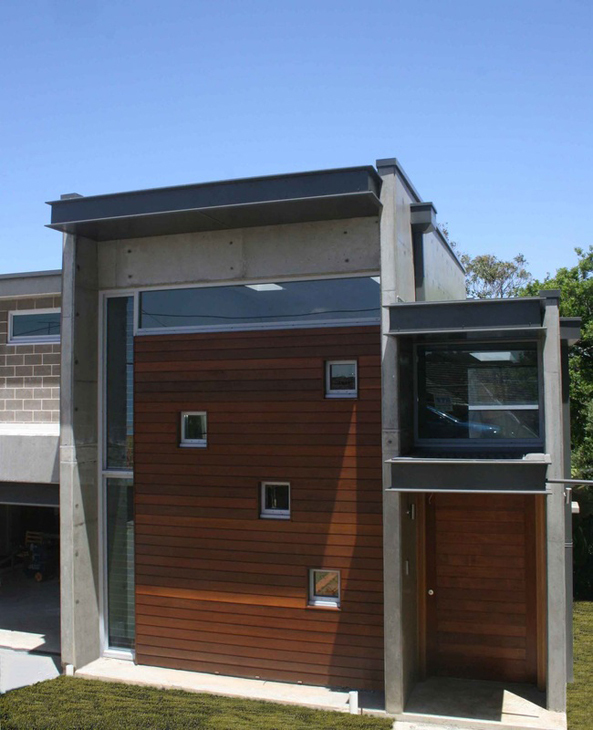 The interior has been designed to create a feeling of intimacy and all internal areas open onto natural surroundings.